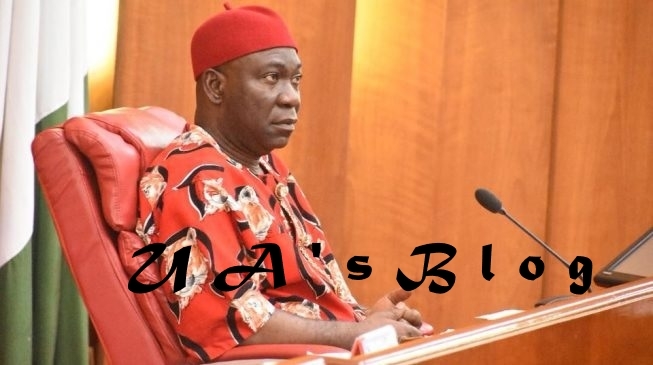 The Deputy President of the Senate, dr. Ike Ekweremadu, on Tuesday declared his intension to represent his constituency for the fifth time in the Senate. Ekweremadu, who is representing Enugu West Senatorial District on the platform of the Peoples Democratic Party, made his declaration known less than a week after he said if he wanted to be in the Senate forever he could achieve it. The declaration was made via a statement on Tuesday morning. He said he only bowed to persuasion of his people to represent them again in the National Assembly. Ekweremadu said: “My people, the good people of Enugu West Senatorial District, including the Enugu West Peoples Assembly, Members of the National Assembly, Council Chairmen, members of the Enugu State Executive Council, Enugu State Chapter of Ohanaeze Ndigbo, leaders of the PDP from Enugu West, among others gave me a surprise on Sunday. “They presented to me the PDP nomination form for the Senate, which they purchased for me, requesting that I return to the Senate in 2019.